Auto Trails Map. Pennsylvania, New Jersey, Southern New York, Northern Delaware, Northern Maryland, Northern Virginia, North East W. Virginia. A Map Of The State Of Pennsylvania. 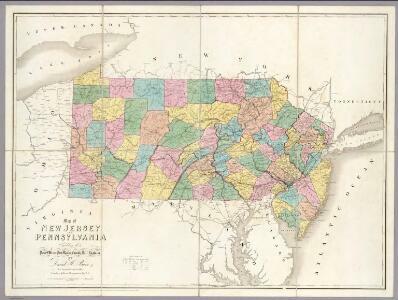 1 : 1450000 Tanner, Henry S.
A map of the state of Pennsylvania / by Reading Howell. 1 : 1340000 Colton, G.W.